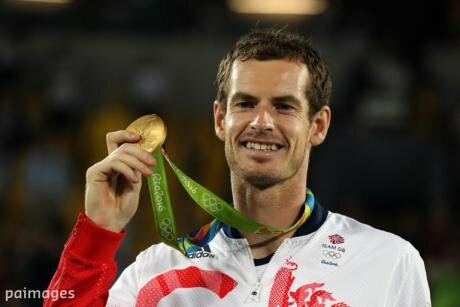 Andy Murray wins gold. Owen Humphreys / PA Wire/Press Association Images. All rights reserved.In December 2015, the BBC was forced to pull out of its deal to broadcast Formula 1 races three years early, following plans to slash £35m from its sports broadcasting budget. At the time it was seen as one of the lowest ebbs for the corporation’s sports department. It followed the announcement earlier in the year that the British Open golf tournament was also to be lost to Sky from 2017. Here ended a torrid year for BBC sports’ executives, which left many worried about the organisation’s ability to compete in coming years. But is the future really that bleak? We’re currently in the middle of the Rio Olympics, with millions tuning in to the BBC for the second part of Super Saturday early on Sunday morning. This is possible thanks to the policy of selecting certain sporting events whose appeal goes beyond fans of specific sports, known collectively as The Crown Jewels, and ensuring they remain on free-to-air television. The Olympics tops the list, which also includes the FA Cup final, the World Cup final and the Rugby League Challenge Cup final. It means that even the deep pockets of Sky and BT Sports can’t wrest control of some of the most-loved sporting events from terrestrial channels. There is also a B-list, which includes Premier League football, for which highlights must be free-to-air. This allows Match of the Day to survive, something for which many were thankful this weekend when Gary Lineker kept his promise to present the show in his underwear. Premier League football will never be seen on the BBC again. But none of this can hide the fact that most of the country’s best-loved sports are now out of the BBC’s reach. Premier League football will never be seen on the channel again. The Six Nations rugby championship was only saved at the last minute in a joint deal with ITV and it seems likely it will be lost completely in the next decade. England’s home test matches had already been lost to Channel Four before being removed from the Crown Jewels list and ultimately lost to Sky. So what can the BBC do to stay relevant in the face of apparently overwhelming market forces? One of the biggest developments in multi-sport events like the Olympics has been the advent of digital options such as the red button and iPlayer. It means viewers are no longer at the mercy of directors chasing ratings and can pick and choose to watch the more obscure events if they wish. In a wider sense this is significant because it partly nullifies the advantage that broadcasters like Sky and BT have by being able to support sport-only channels. Traditionally the BBC’s ability to broadcast sporting events has been limited by having to compete with news, drama and documentaries for time on only two channels. But the digital age means these restrictions have been partially lifted and no tricky scheduling decisions have to be made around upsetting Eastenders fans to show the Scottish FA Cup third round. The red button and iPlayer effectively give the BBC a large number of broadcasting options beyond BBC 1 and BBC 2. Suddenly having competitors broadcasting sport all day on up to five dedicated channels doesn’t seem like such a large hurdle to overcome. It is also a way to show some regional sports outside of England via the BBC’s regional channels. This will go some way to closing the gap with the richer broadcasters, although of course still doesn’t solve the problem of not having the rights in the first place. One aspect of the BBC’s offering that is so often ignored is its radio coverage. And in this area the BBC truly is peerless. Test Match Specialist is the obvious choice to highlight the BBC’s prestige in the audio medium. In a recent interview with Michael Parkinson, long-time commentator Jonathan Agnew (known affectionately as Aggers) described why he believes radio to be the purest form of broadcasting: “It really feels like you’re right inside people’s home, in their heads even, and that's a privileged position to be in,” he said. For this reason alone the BBC’s dominance of radio coverage will always be significant. The World Service also crosses borders to offer global coverage that cannot be matched – along with a sound of home that keeps many ex-pats and travellers content when homesickness gets a little too much. Its regional stations also provide a network that offers broadcast options for lower-league football teams and other less fashionable local sports teams across the country that even Sky and BT don’t have the resources (or in many cases motivation) to show. Sky and BT don’t run radio channels simply because they wouldn’t make enough money, which is thankfully a consideration over which the BBC doesn’t have to fret. Put simply, when sports fans are somewhere they can’t get to a TV screen their first thought is to listen to BBC Five Live. Any football fan who travels to an away ground will tell you that listening to the sporting news together on the way to the match and the phone-in on the way back is part of the ritual of the day. Having your brand ingrained in habit and shared experience is one way to ensure cultural relevance for years to come. The local element is another big advantage the BBC has over its rivals. In Scotland, Wales and Northern Ireland it is able to show football, rugby and other sports with a team of often well-loved and knowledgable journalists who bring a local flavour the satellite giants can’t match. One such character is BBC Wales radio and television presenter Phil Steele. He told Our Beeb that the local angle is a big part of the BBC’s sporting offering. To give an example that Steele is involved in, rights for TV rugby in Wales is shared between the BBC and Sky Sports. But it’s the BBC Scrum V brand that every Welsh sports fan knows. And it has a very Welsh flavour. And the BBC does need to offer something different in this instance. Financially there is no reason for the broadcaster should be allowed to show games. The current deal Pro 12 TV deal, signed in 2014, sees the BBC pay £3m for its half of the games, compared to £5 from Sky. And in a sport that needs the money, especially in the Celtic nations, it’s feasible the sport’s governing body could have persuaded to take the £2m a full deal with Sky would bring if they didn’t feel the BBC was adding something other broadcasters can’t. Thankfully due to people like Steele it does. When the BBC does broadcast sport, whether on television or radio, people tune in. Luckily we get comparison stats when BBC and ITV both show finals of major tournaments – the latest being Euro 2016. For the Euro 2016 final, an average of 10.2m viewers watched the BBC coverage while only 1.9m chose ITV. On that evening in July an average of 10.2m viewers watched the BBC coverage while only 1.9m chose ITV. The pattern is similar every time the two go head to head. Steele puts this down to a number of factors. “I’d say trust is a big one,” he explained. “I have a friend who was saying he gets his news from Twitter and checks it on BBC because if he sees it there he believes it’s true. And people want that kind of trust when hearing facts and news on sports broadcasts too. “The other is tradition. People just enjoy watching things on the BBC because you largely know what to expect and there are some of the country’s top names on there. Having said that, I do think the quality of the shows is high, so it’s not a case of resting on our laurels”. So the audience is there if the BBC can secure rights to any sporting events. And its unique structure means it has a number of advantages over satellite channels that will keep it relevant even if it doesn’t have all of the biggest weekly sporting fixtures to show on television. But all of this will be for nought if the corporation can’t maintain its rearguard action against the corporate giants of Sky and BT into the future. Will the inevitable tide of capitalism eventually wash it away in the coming years? The most convincing reason I can give to say it won’t is that if this were to happen it would have done so already. This fight is far from new. Ever since the formation of football’s Premier League in 1992, largely funded by Sky, the future already looked grim for the BBC. Losing the biggest league in the national sport is as bad as it gets. And you may have predicted that Sky would then go on to overpower the public broadcaster. However, even Murdoch’s billions and megalomania can’t smash the joint shield of public good will and regulation that currently protects the BBC. And there’s nothing to suggest the good will is going to fade in the future. But this is not to suggest the BBC will saved by nostalgia alone. At times in the Rio Olympics there have been upward of 40 live events for viewers to choose from on the iPlayer. This is only possible due to the unique arrangement the BBC is able to broker with the IOC and the host broadcaster. It is based on public service rather than profit and therefore something the commercial channels cannot justify to their shareholders, which will always remain their biggest weakness. The government’s protection through regulation may be less secure. The current government is not seen to be hugely sympathetic to the corporation’s needs, so this could be a worry. Former secretary of state for culture, media and sport John Whittingdale was repeatedly accused of meddling with the independent organisation. In May’s Royal Charter he announced plans to remove in-house guaranteed funding for all content except news and news-related programming. The intention is to encourage third-party production companies to tender for production funds. But seeing as that model doesn’t exist in sport and production is in-house, it could leave the department in a dangerous financial limbo. However, Whittingdale has now been replaced by Karen Bradley and the May regime appears determined not to be seen as a harbinger of doom for national institutions. So time will tell how things work out in the years to come. But even though lack of broadcasting rights may continue to take some events from our screens, the BBC will nevertheless have a part to play in the way we interact with sport. This is partly enshrined in the crown jewels and its guarantee the most significant sporting events will remain on free-to-view television. The thought of something as culturally significant as The Olympics moving away from the BBC would be unpalatable to many parties. The Olympic committee and its affiliated sporting bodies would be horrified at the prospect of the next generations’ only exposure to their sports, which is already often limited to once every four years, being determined by parents’ ability to pay for a Sky or BT subscription. The Big Lottery Fund, which goes a long way to funding the sporting infrastructure necessary to produce Olympic athletes, also has a commitment to social mobility at its heart. Moving the Olympics off the national broadcaster and to paid-for television would fly in the face of this aim. The BBC is and will always be unique, not as lumbering or intransigent as some believe in the way it operates and radio will always be its secret weapon. That and the local angle mean it’s not being bullied out of the sports broadcasting marketplace any time soon.